I like the time to buy in on the Magic tonight. Things can’t get much worse for them. They just played a dreaded 6 game road trip on the West Coast. The good news is they are back home and have had 1 day of rest. The Magic’s next game is at home Sunday vs the Warriors. Having lost 3 straight and 7 of their last 8, the Magic know this is an important game because their last home win was before Christmas. They need to give the fans some hope and reason to come fill the gym Sunday against the Warriors. Orlando knows that game vs the Warriors is more than likely a loss and the need to win is now. Players have spoken. 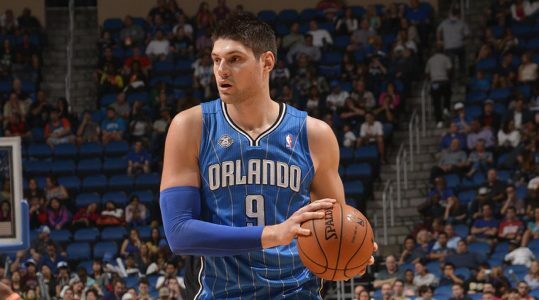 Nikola Vucevic summed it up nicely here and I would think that would get the players attention….“I don’t think anybody is happy with where we are at,” Nikola Vucevic said. “We have to show up mad. But then show up mad. Be mad on the court. Mad doesn’t mean go out there and do dumb stuff. It’s playing the right way. Bring the effort, play mad, show some passion. You are supposed to do that if you play basketball. If you enjoy the game, it’s automatic. It’s never a question to do it.” Jeff Green, another veteran, was vocal about the lack of effort. I expect a fully motivated Magic team here. There is reason for excitement after a 6 game road trip. There is also motivation playing with same season double revenge against the Bucks. Home Dogs coming off a 6 game road trip are 60-45-2 ATS (57.1%). When our home dog lost the last 3 road games on their road trip, they improve to 24-13 ATS (64.9%). When we add in the home dog playing with double revenge, like the Magic, these home dogs are 14-6-1 ATS (70%) since 1996. The Bucks are on a 3 game skid having lost the 3 games by 9, 13, and 19 points. They have won 8 road games this year. This will be only their 3rd time as a road favorite this season. Their last two road wins have been by 1 and 2 points. While the Magic are on a losing streak, they have not given up in the 4th quarter. They have either won the 4th quarter or played to close over their last 5 road games. For the Bucks, they got outscored in the 4th quarter of their last 4 games. This game is more important to Orlando I think than meets the eye. They are facing a team on a skid also, and the Magic have played better 4th quarters lately. In January, the Bucks rank 28th in offensive rating in the 4th. The Magic rank 20th. Orlando is 19-9-1 ATS as a homedog of 5 or less points, playing with revenge and off 3 losses. This is a rare spot for the Bucks to have lost 3 straight and still be a road favorite here that the public is in love with. Take the Magic at home to get the cover.